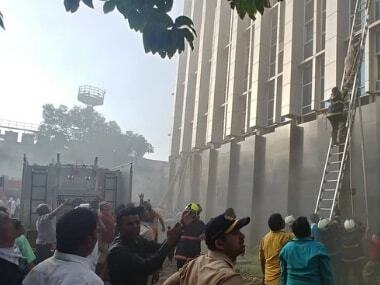 New Delhi: The National Human Rights Commission (NHRC) issued a notice to the Maharashtra government and the Union Labour Ministry on Tuesday over a fire at a Mumbai hospital in which nine people were killed. The commission has also asked for a detailed report within four weeks, including action taken against the guilty, if any, an official statement said. 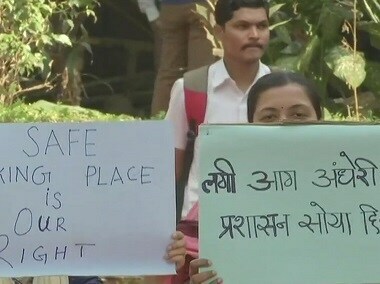 The NHRC took suo motu cognisance in the incident over media reports that a massive fire engulfed the Employees State Insurance Corporation Hospital in the Andheri (East) area of Mumbai on Monday, killing nine people and injuring 141 others. In its statement, the NHRC said it had observed that the possibility of negligence by the hospital administration could not be ruled out in the incident. Hence, a notice was issued to the chief secretary of the government of Maharashtra, calling for a detailed report, including the outcome of the probe reportedly mentioned by the city mayor, it said. The commission would like to know if the building has a valid 'No Objection Certificate' from the Fire Department and whether a fire audit was conducted, the statement said. A report from the Maharashtra DGP is also expected to intimate about the registration of an FIR, if any, and status thereof. The Employees State Insurance Corporation Hospital comes under the jurisdiction of the Union Ministry of Labour and Employment. Hence, the commission has also issued a notice to the secretary of the Union Ministry of Labour and Employment, calling for a detailed report within four weeks, including action taken against the guilty, if any, and steps taken/proposed to be taken to ensure that such incidents do not recur in the future, it said.